Coconuts are great for your skin, digestion, and overall wellness. And it is all natural. From the coconut, we made coconut oil. It’s not about how green or ripe they are when you are picking a coconut for oil or to drink. Either the coconut is a young coconut or an aged one. The young one has the jelly and the aged one produces coconut oil. I look at coconuts as one of nature’s tonics. One of the benefits that I saw from drinking it daily was strong healthy hair. The coconut oil made my skin supple with no pimples. Coconut oil is also great for cooking and baking when you make cakes and pastries. You can get fresh coconuts at Whole Foods, a health food store or produce stand. It’s important to be replenished and it’s a good drink to stay hydrated, especially in the summertime. 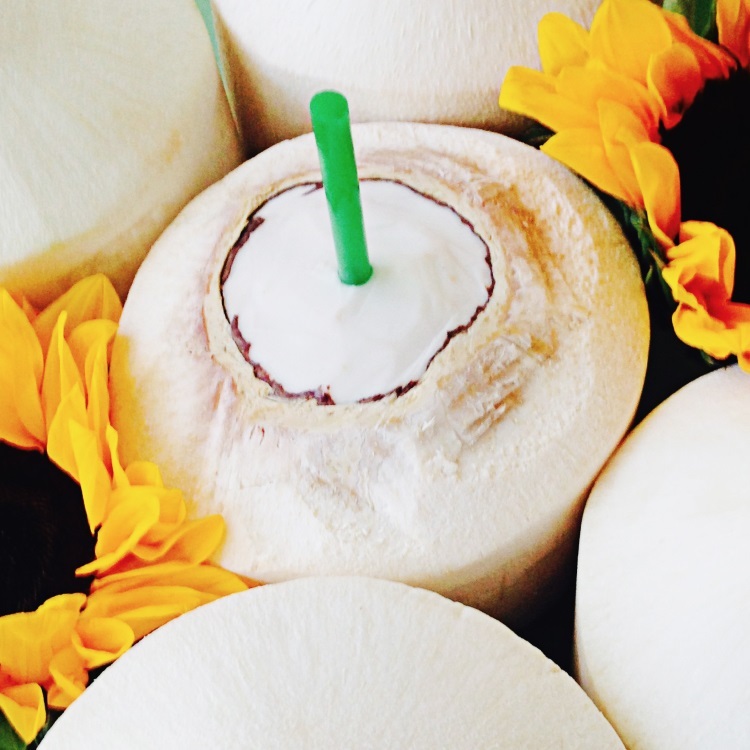 It’s not going to cause you to gain weight like other sugary drinks, so coconuts are perfect to quench your thirst.